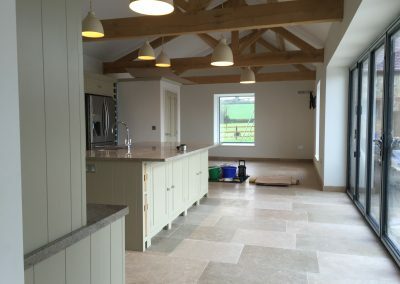 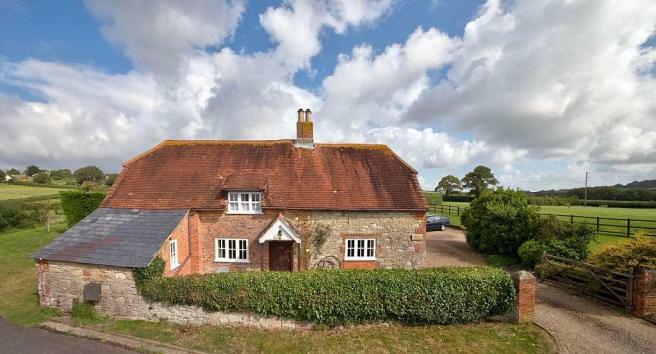 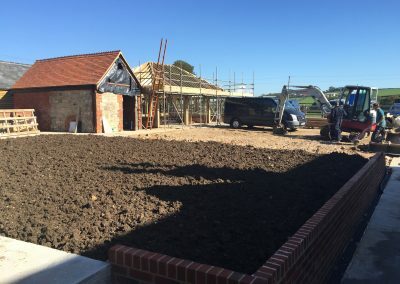 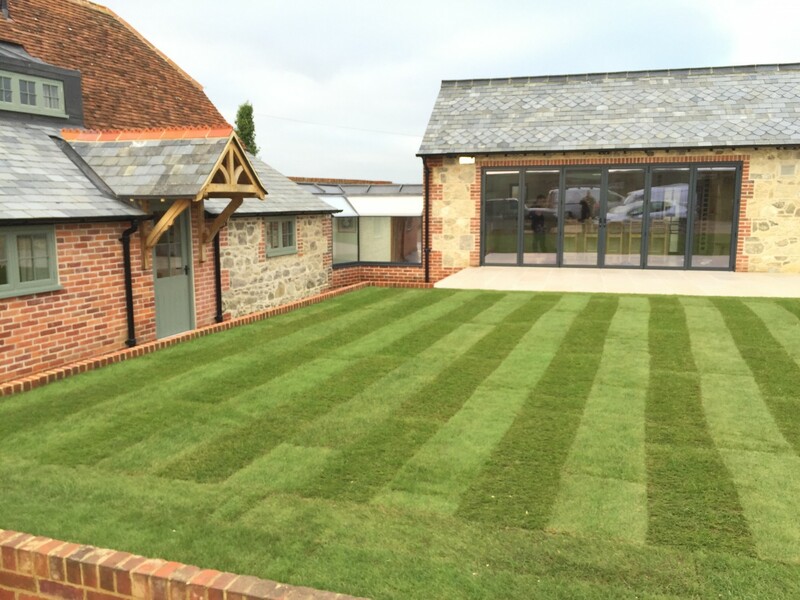 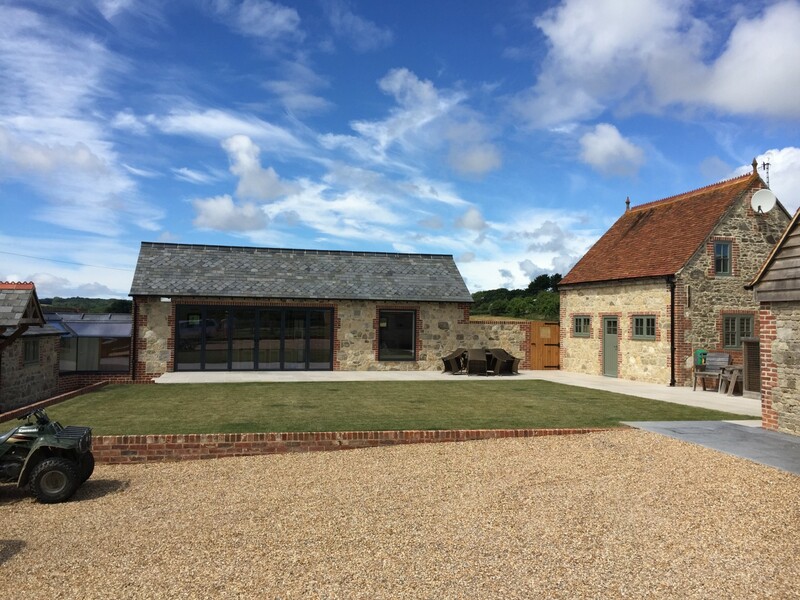 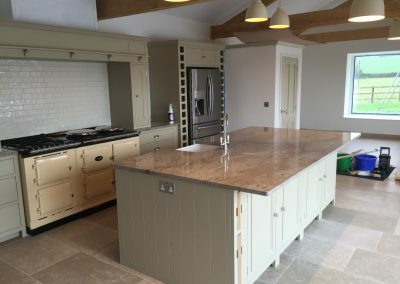 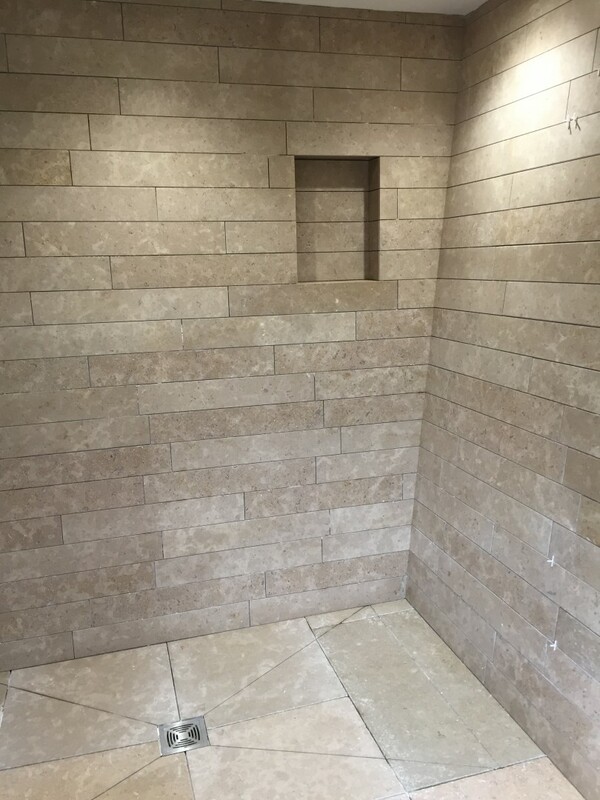 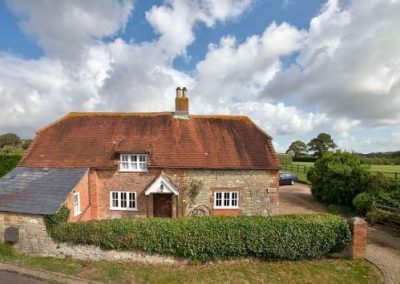 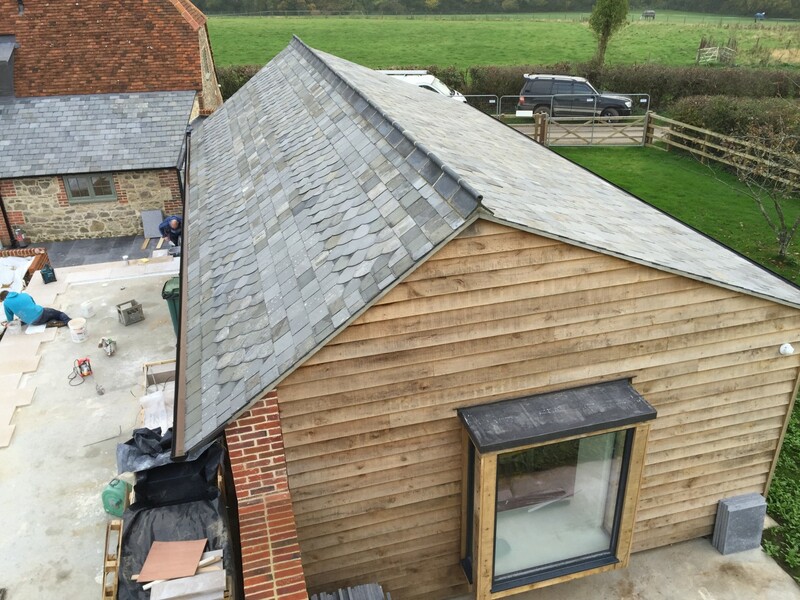 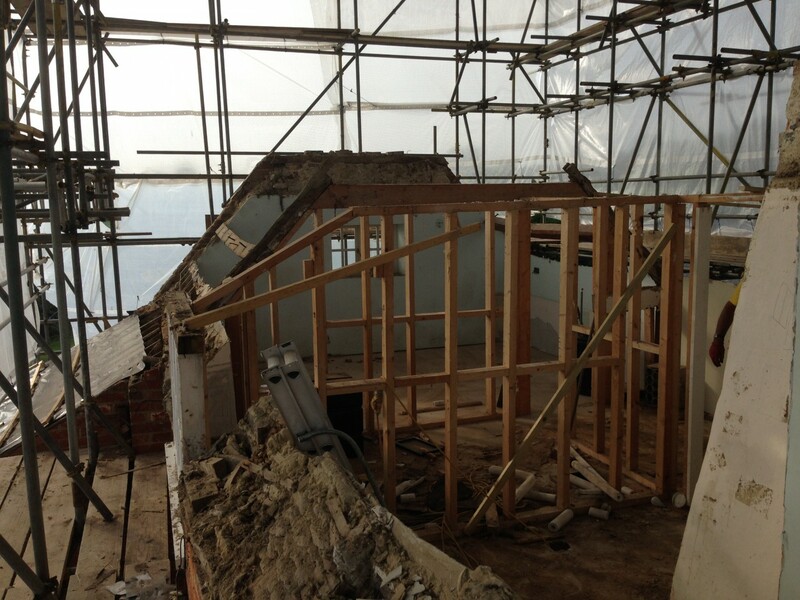 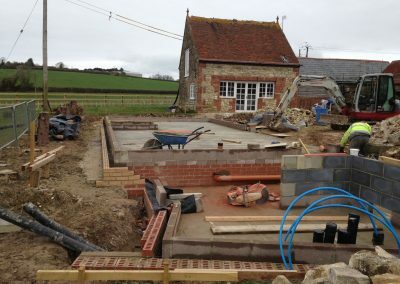 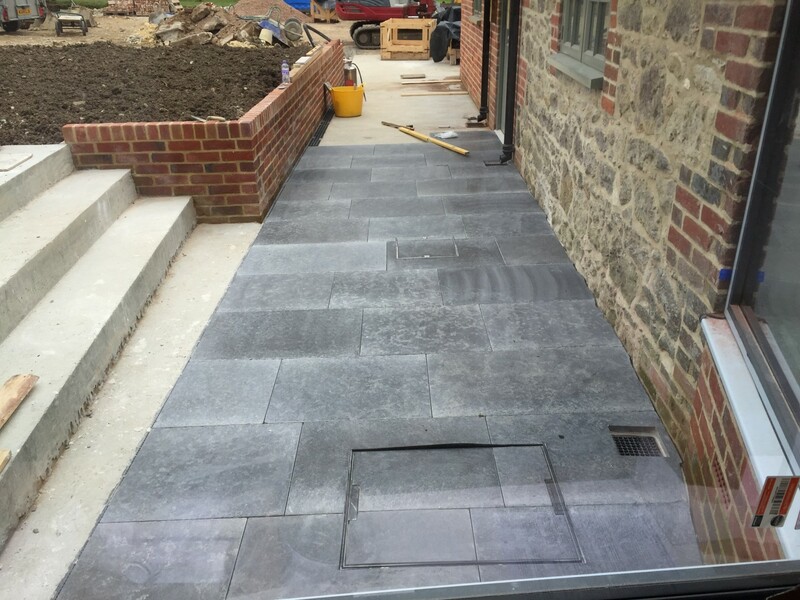 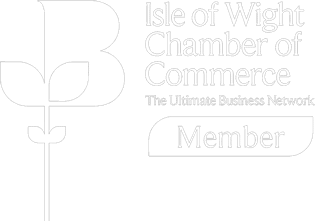 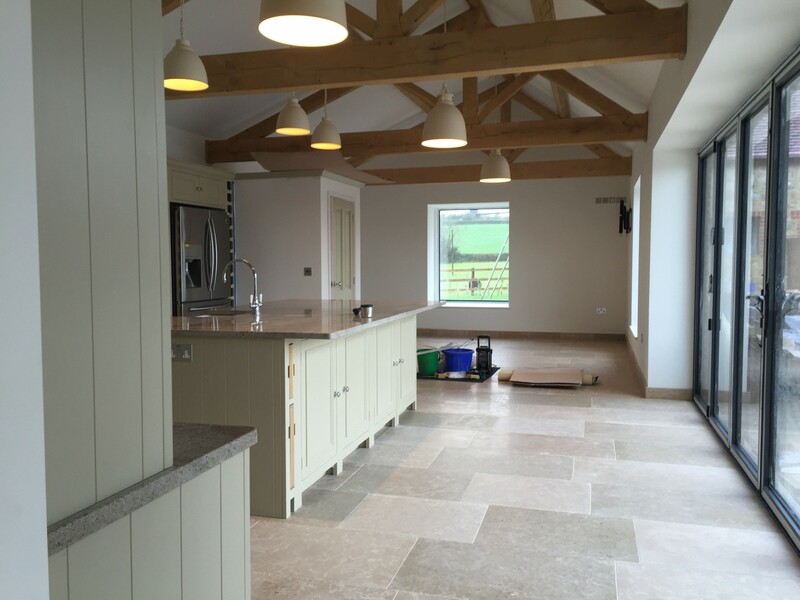 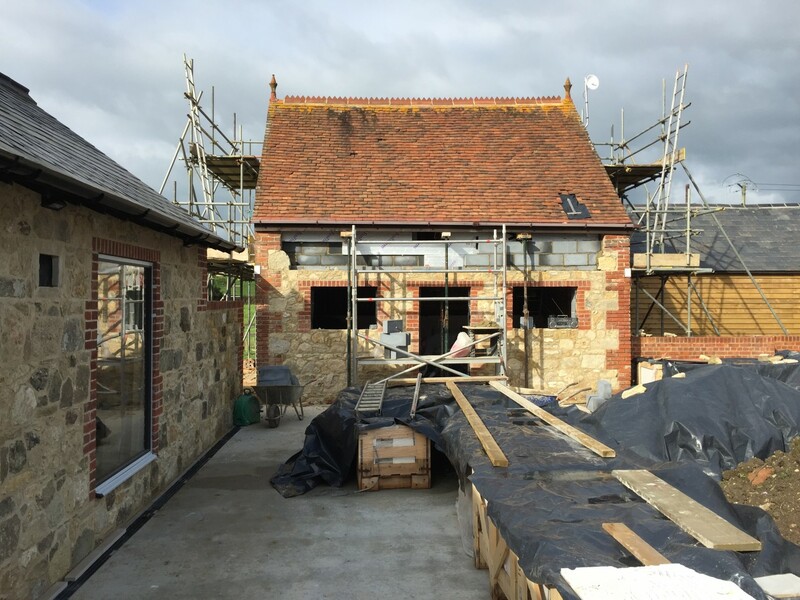 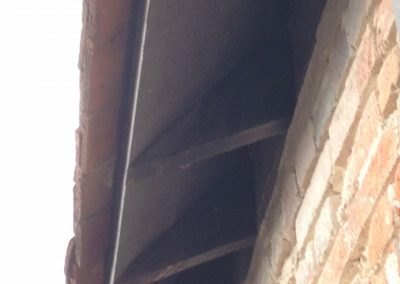 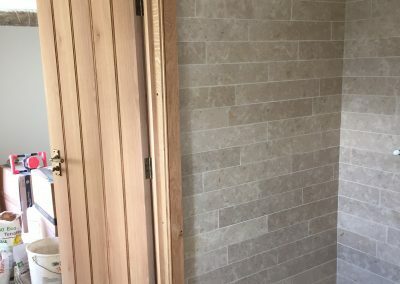 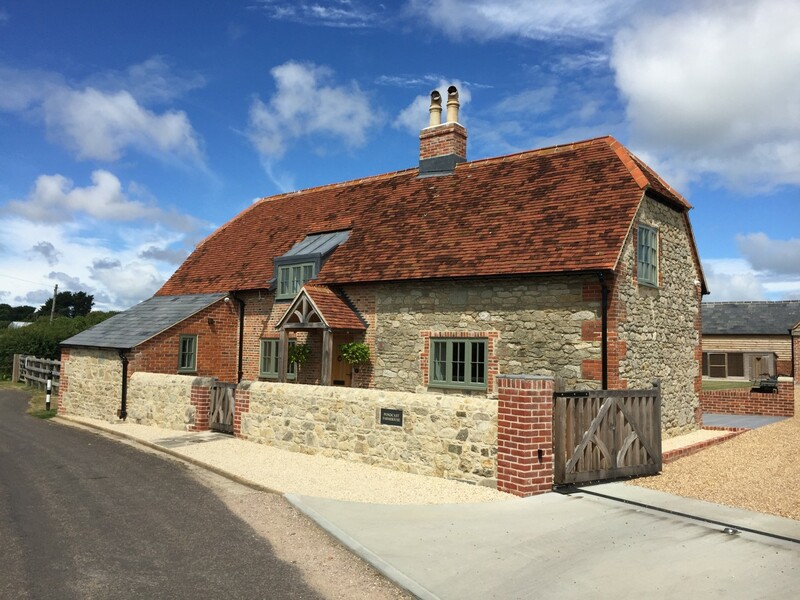 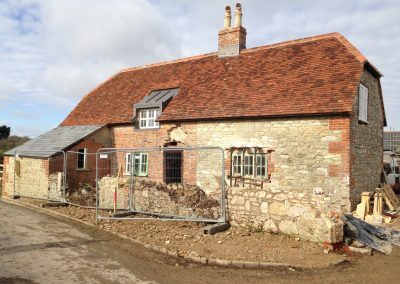 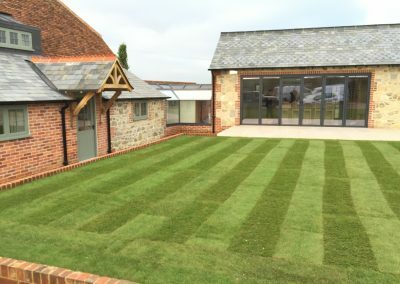 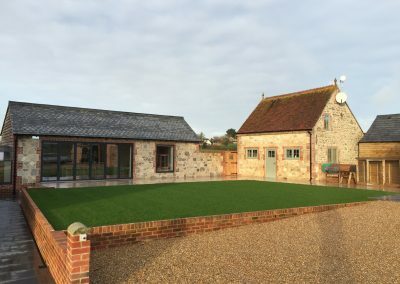 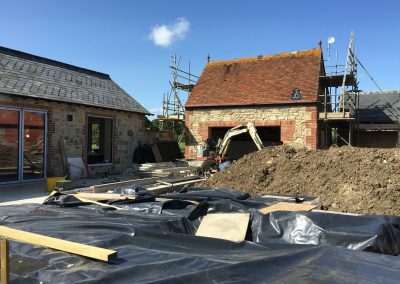 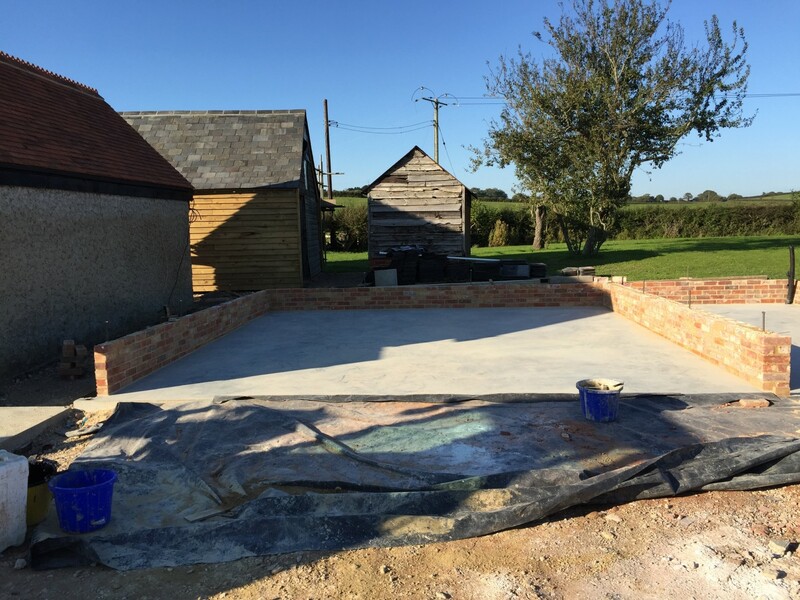 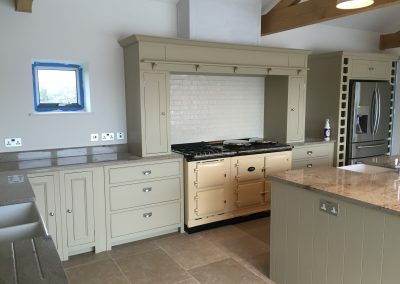 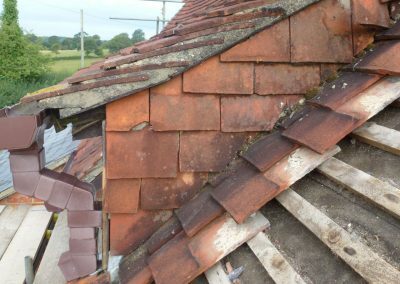 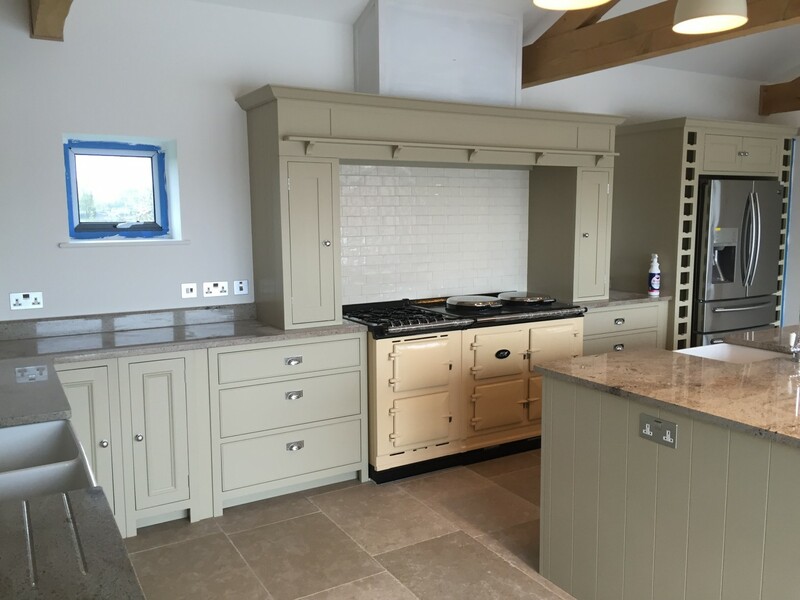 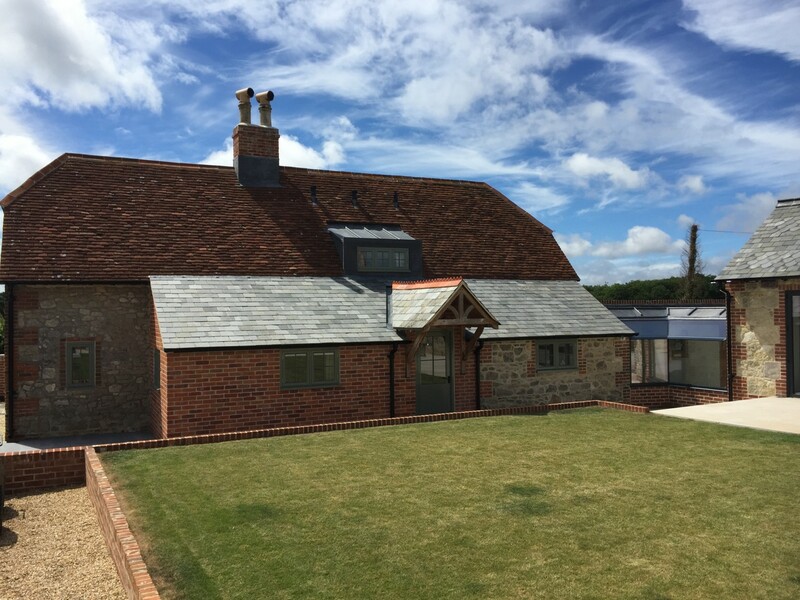 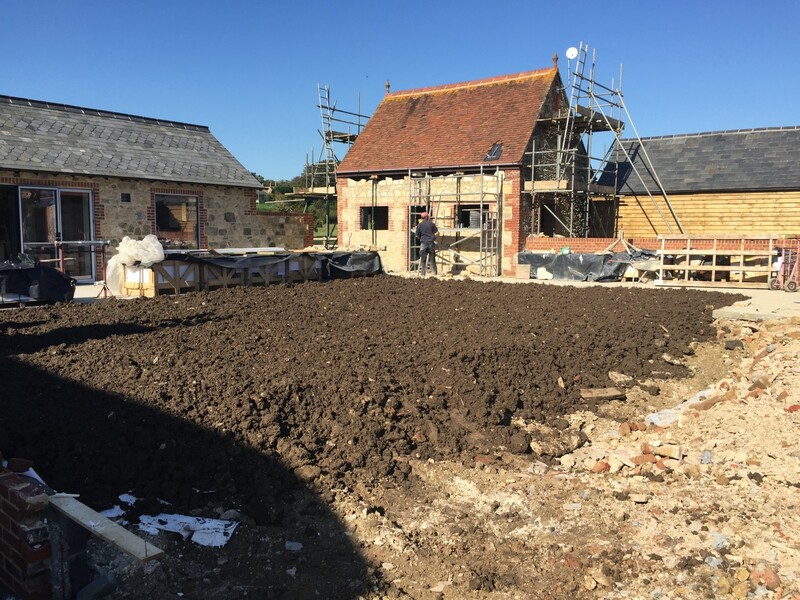 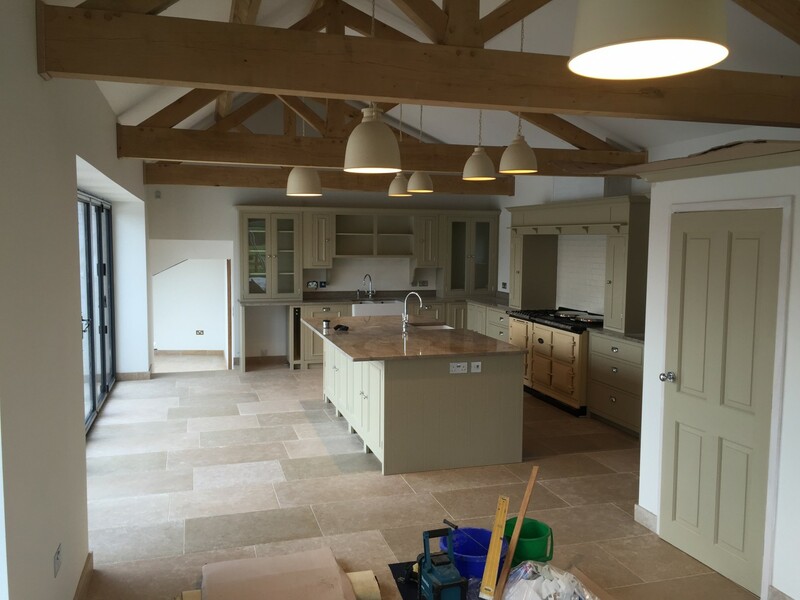 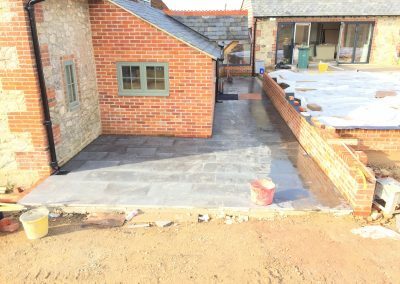 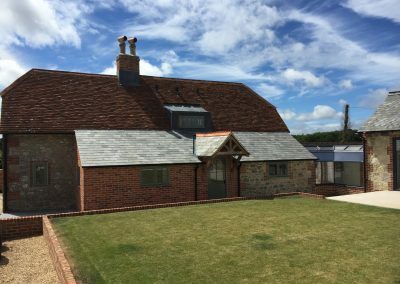 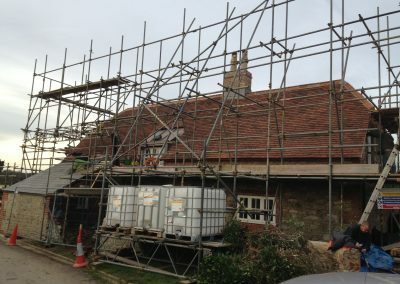 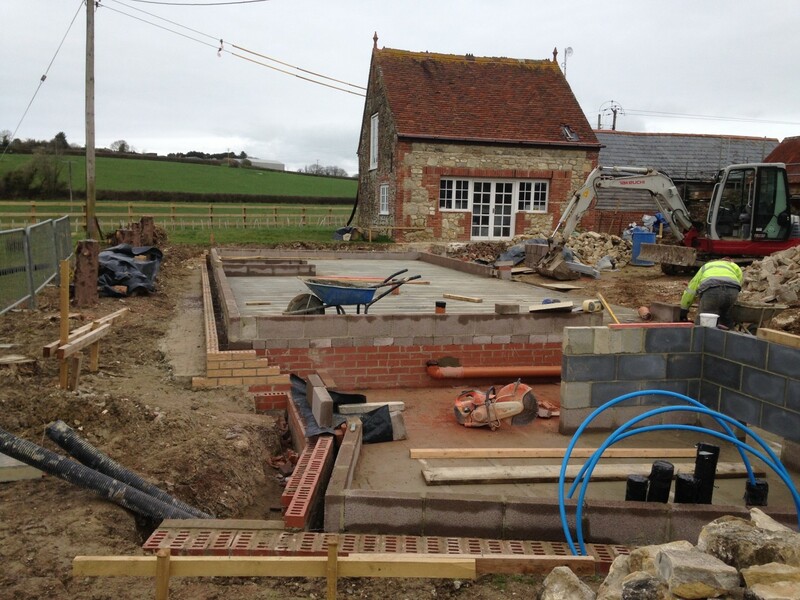 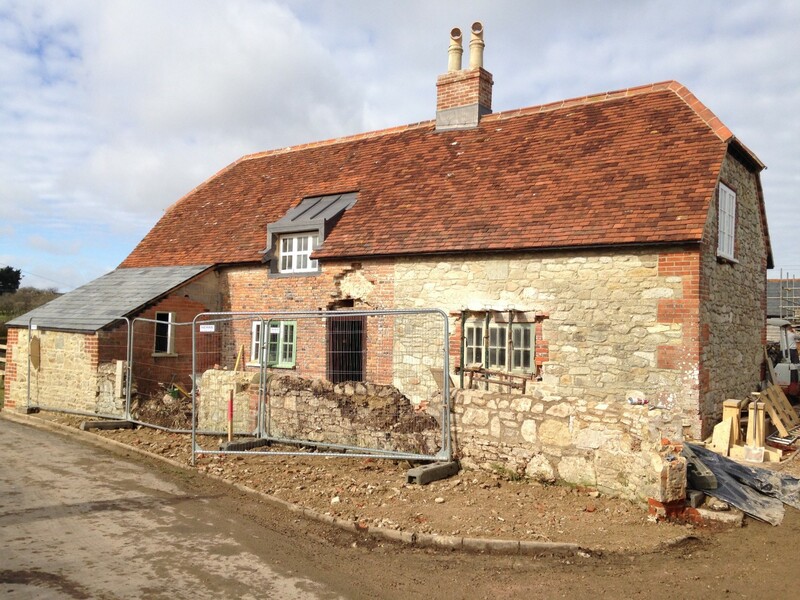 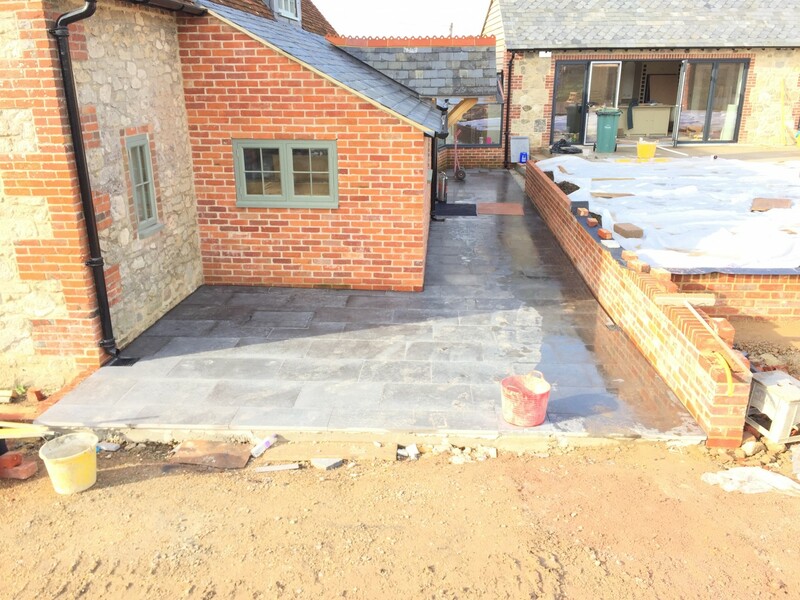 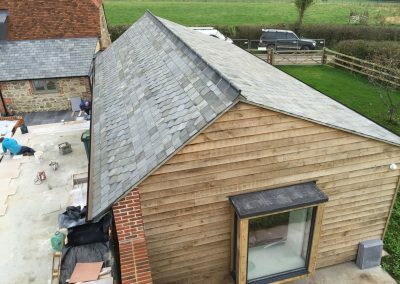 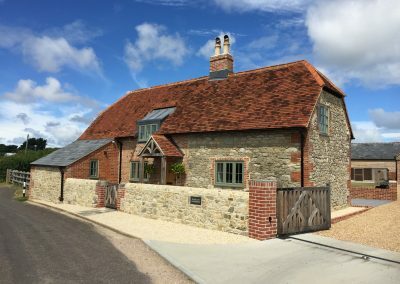 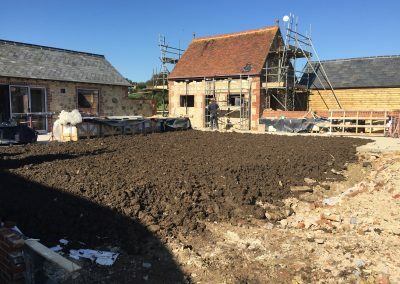 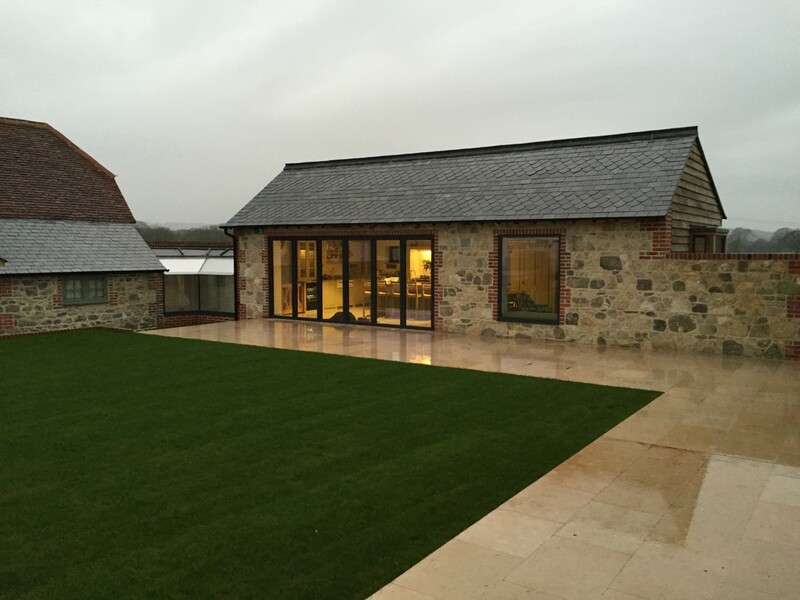 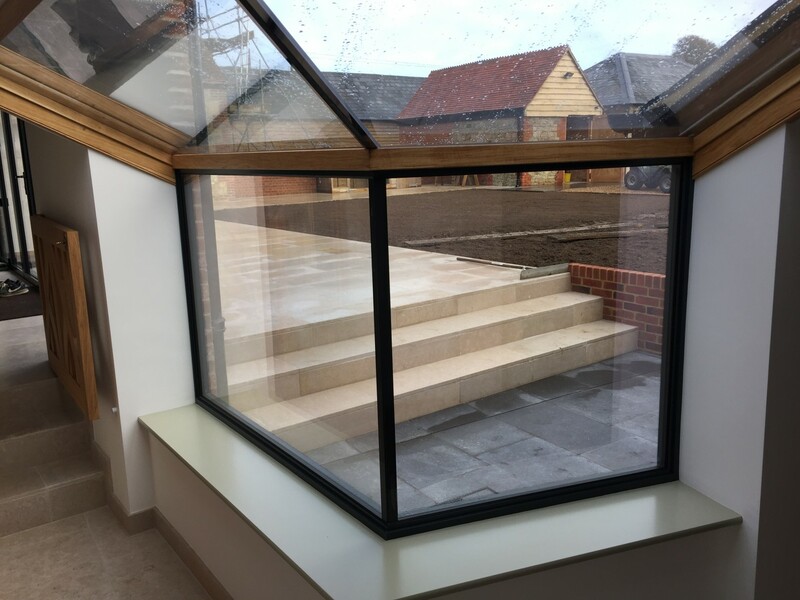 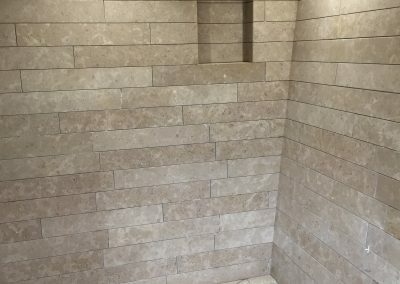 Imphouse Ltd were approached by the owners of a grade II listed farmhouse to undertake the complete restoration and modernisation of the existing farmhouse as well as constructing a new link and extension to provide a utility room and a large open plan kitchen and sitting area. 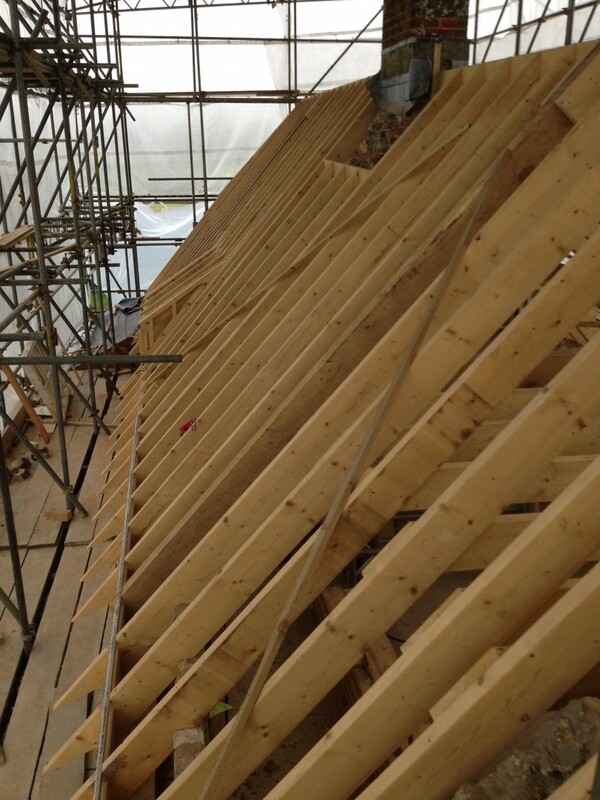 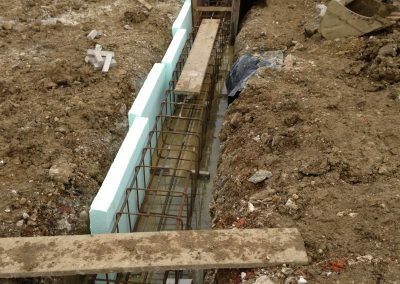 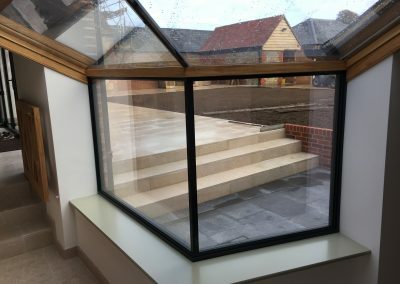 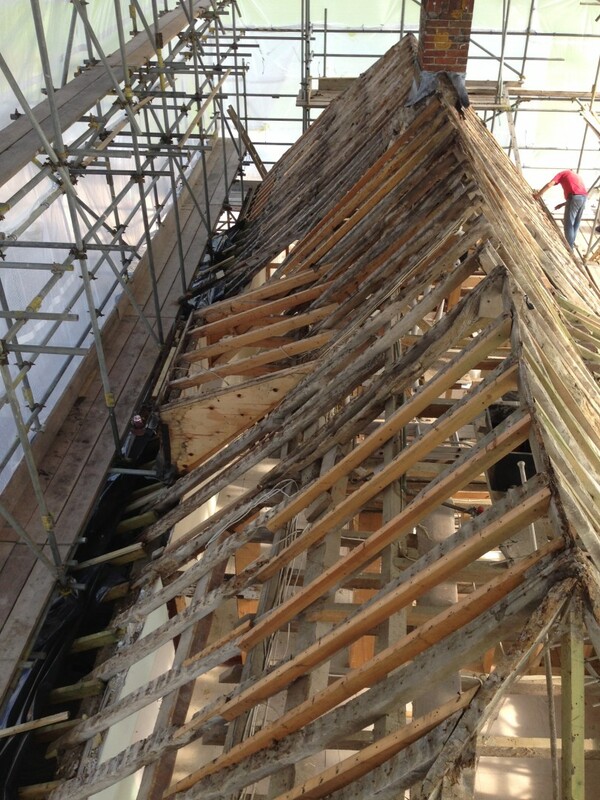 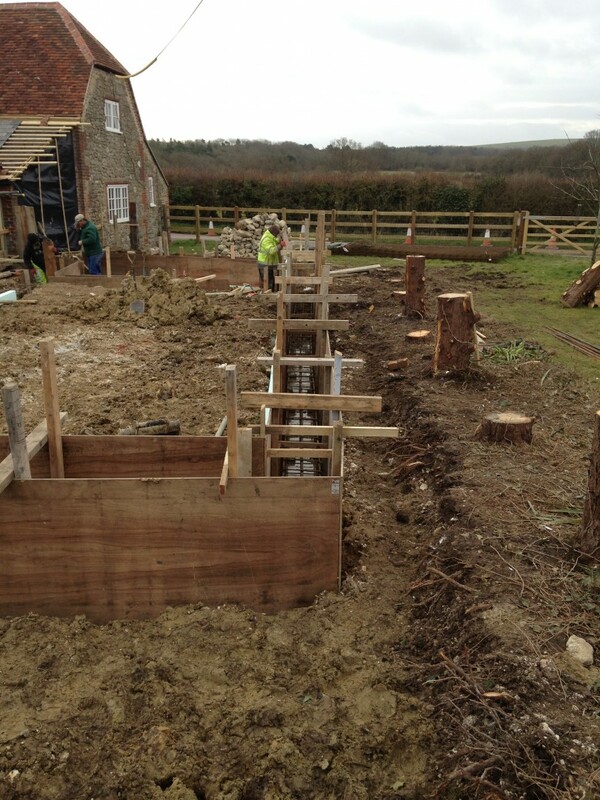 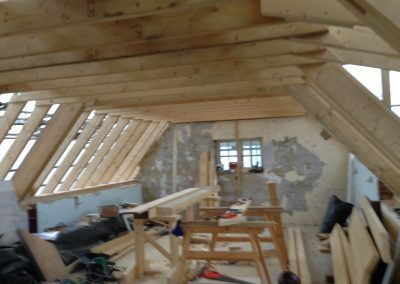 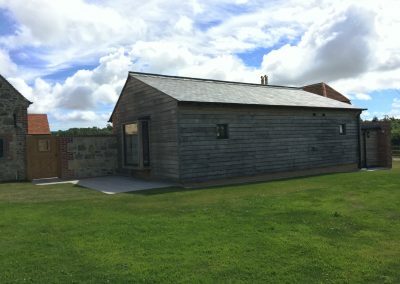 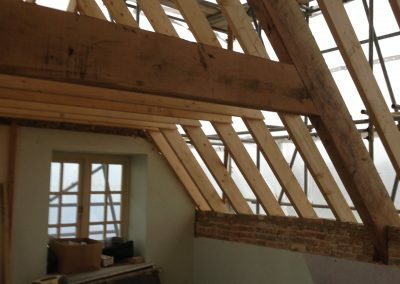 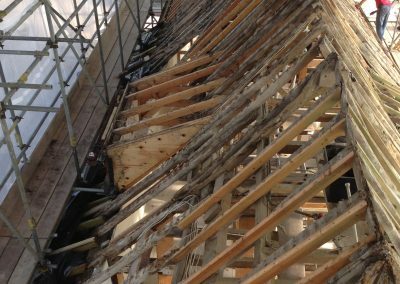 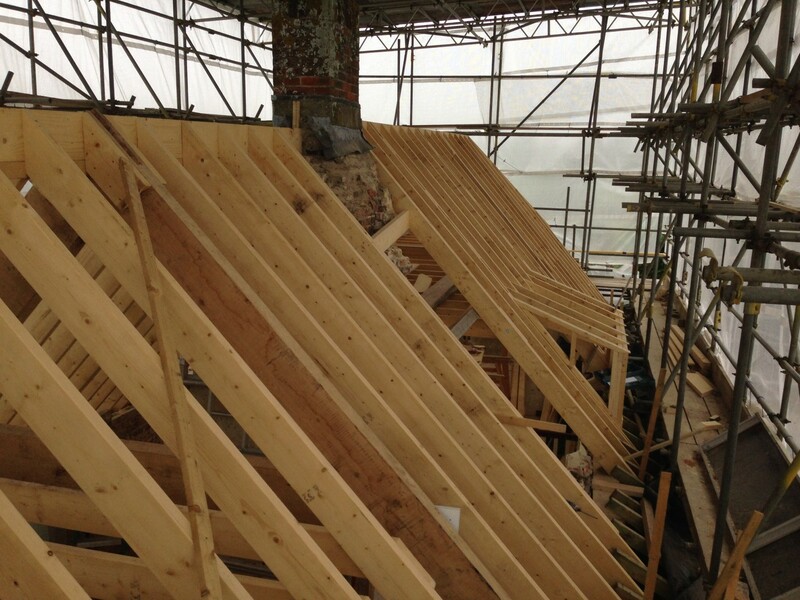 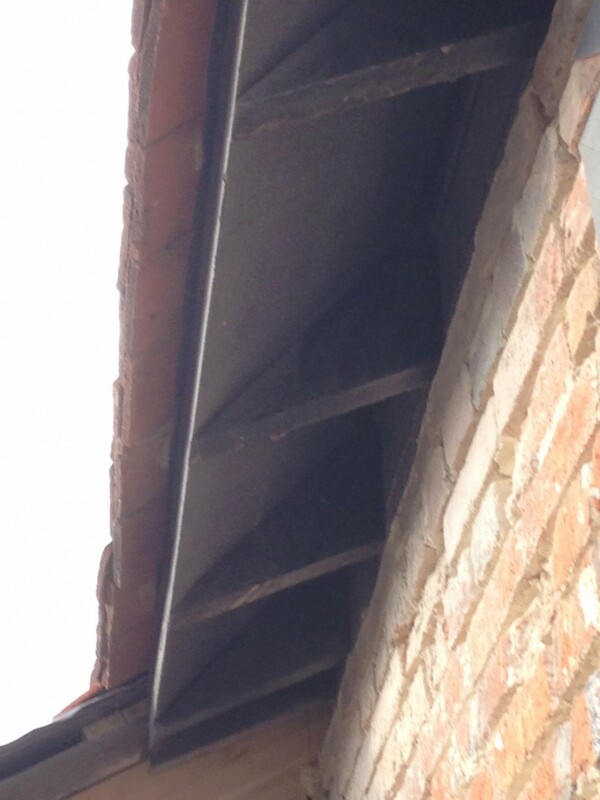 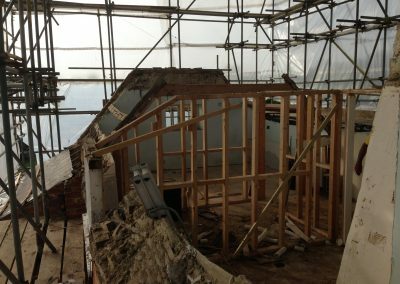 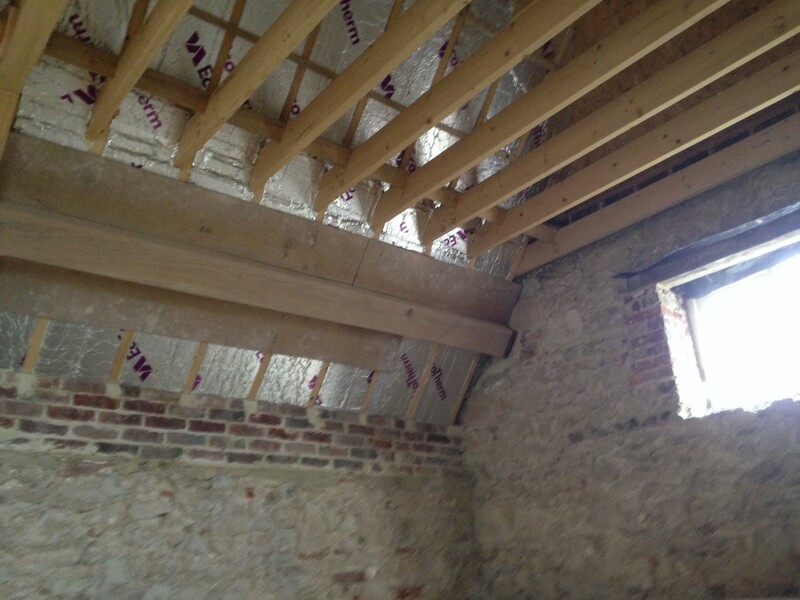 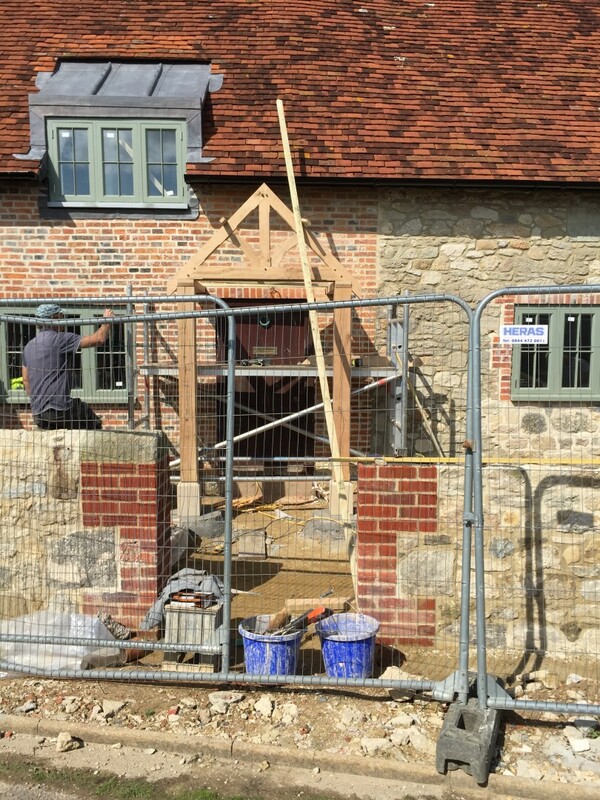 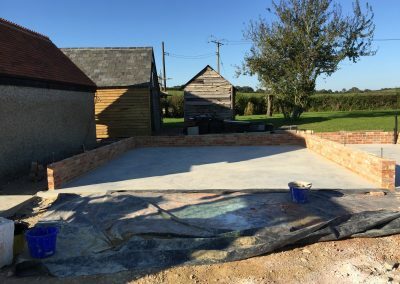 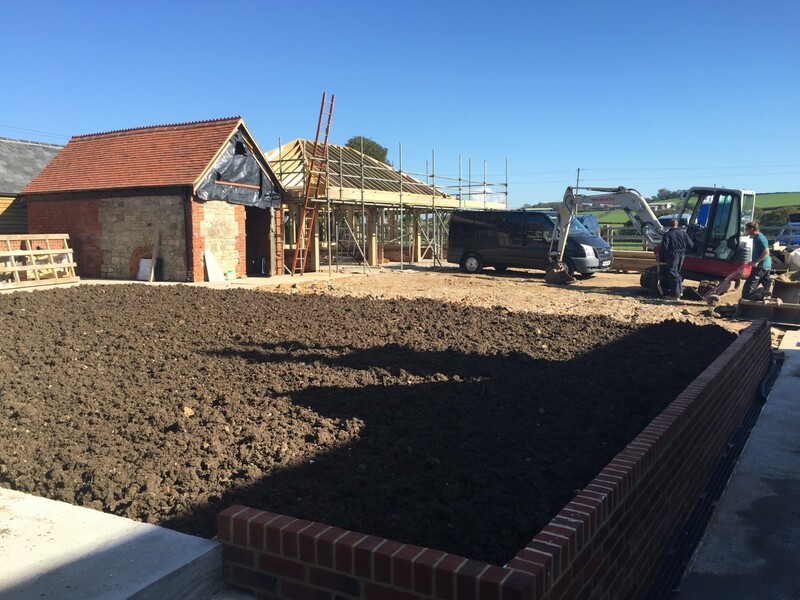 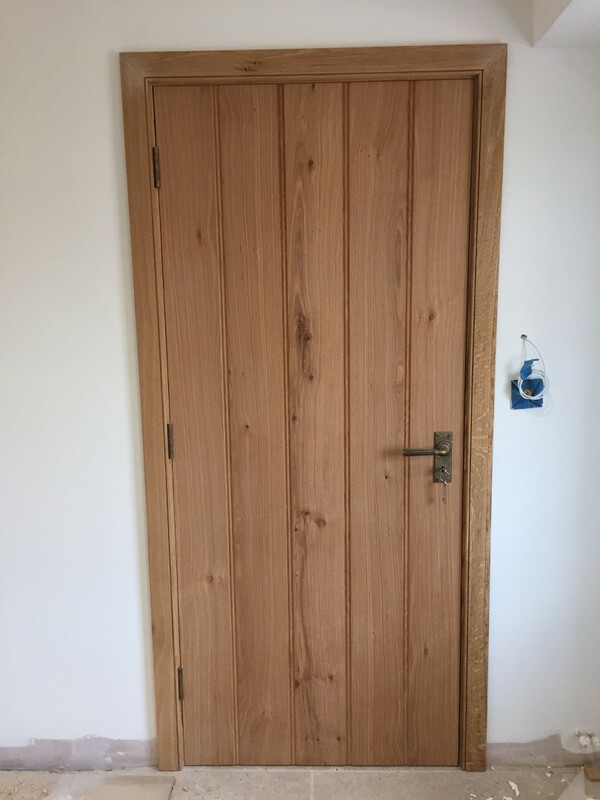 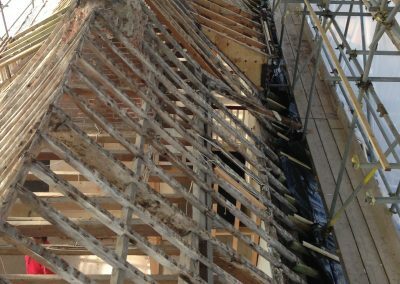 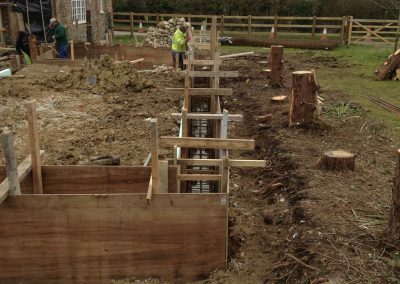 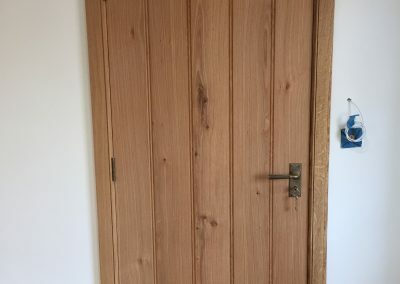 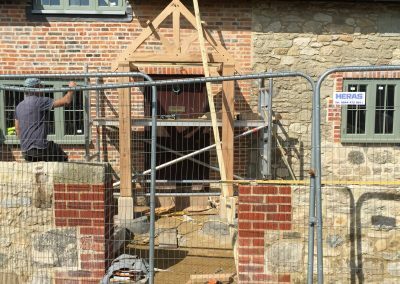 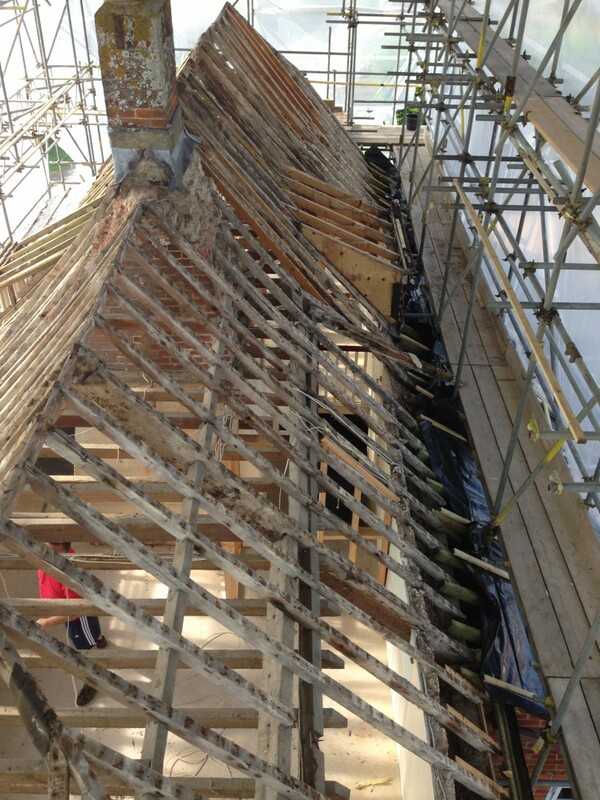 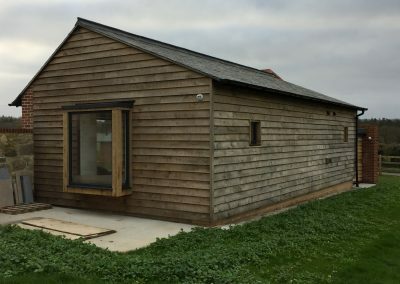 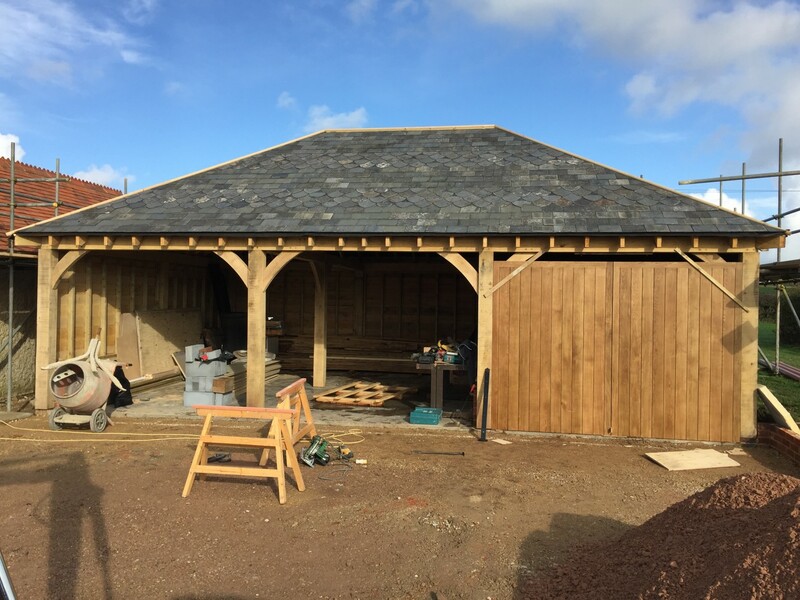 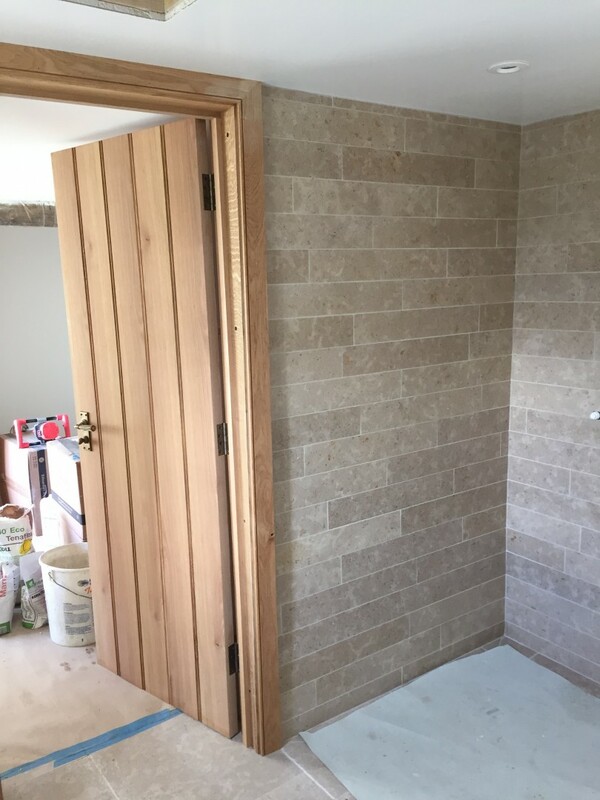 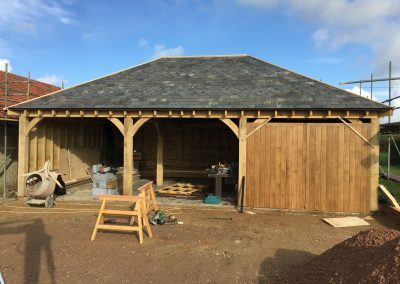 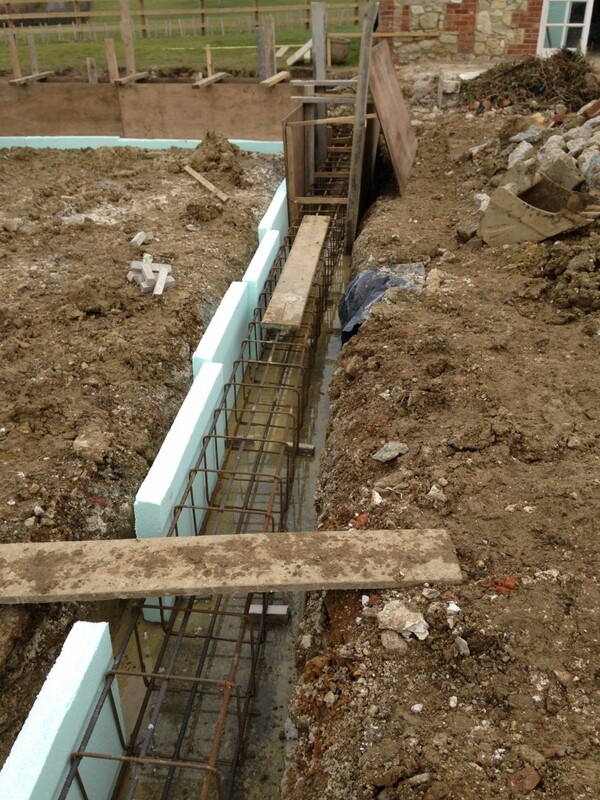 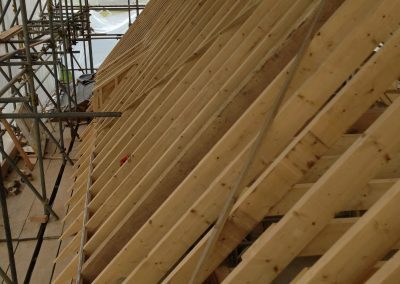 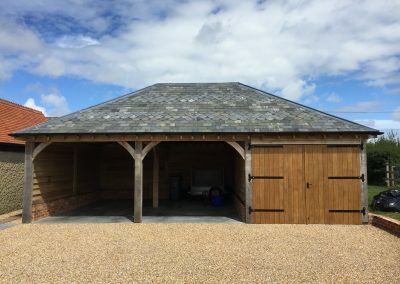 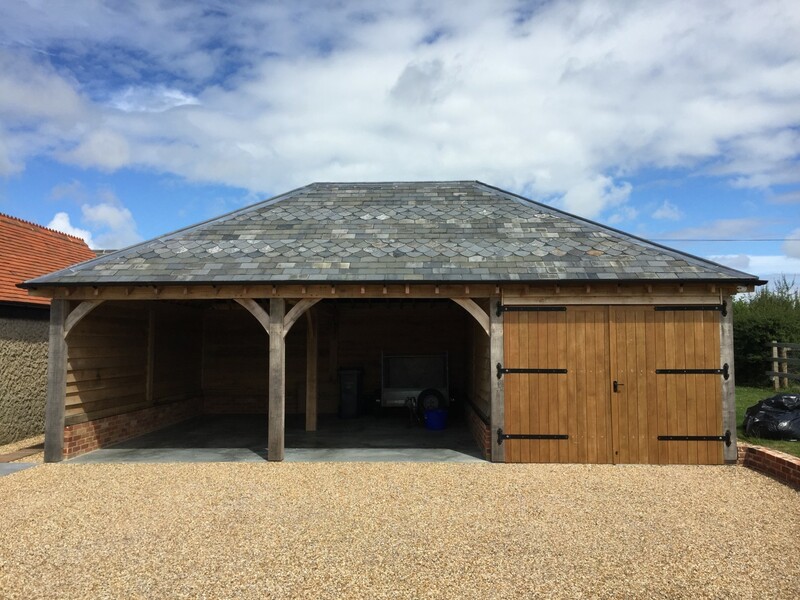 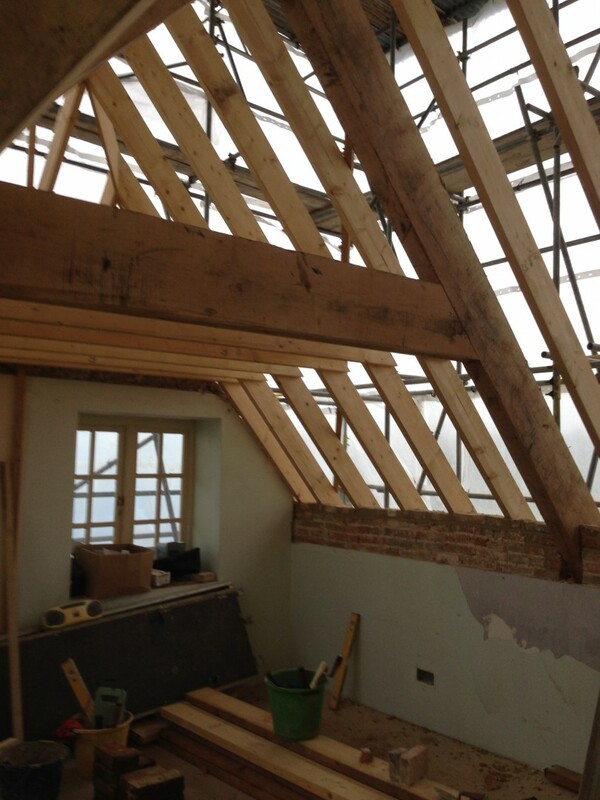 The works also included restoration of the existing outbuildings and construction of a new three bay oak framed garage. 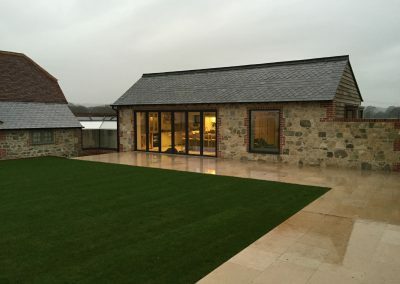 Planning permission to extend the farmhouse was obtained by a clever scheme designed by the Architect to form the building around a central lawned area giving the impression of farm buildings around a central courtyard. 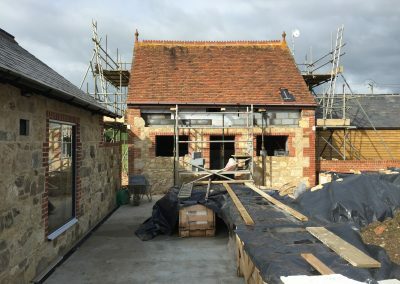 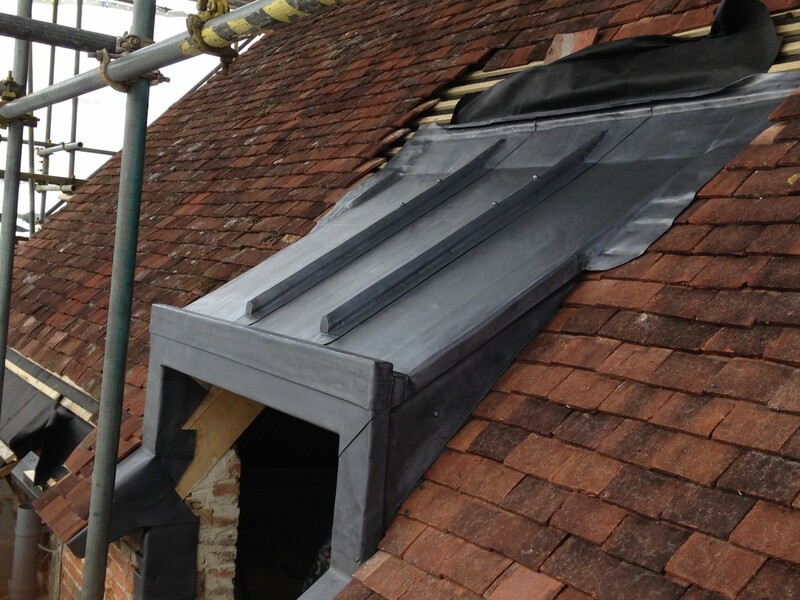 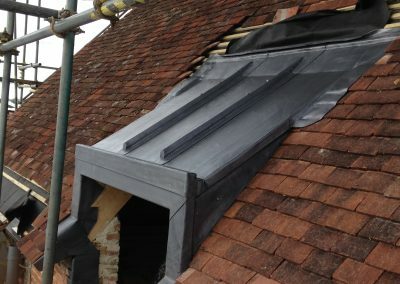 Imphouse Ltd were issued with the planning drawings to work from and together with the clients undertook all of the detailed design as well as submitting the listed building application’s for the new replacement cut roof, the new lead covered dormer windows, replacement double glazed timber casement windows and the alterations to the South fenestration of the annex.